Everyone is always looking for ways to be better and improve their performance whether it is for their career/work goals, mentally, physically or in their relationships. These are the most recent evidence based studies I have found over the last few months which will help you do just that! Incorporate one at a time or all at once; take a leap, what do you have to lose except become a more youthful, vibrate, attentive you! Omega 3 is not only great for reducing inflammation, improving heart health, reducing triglycerides but now shown to improve overall physical performance. In a recent study in the European Journal of Sports science cyclists taking omega 3 fatty acids vs the placebo group increased physical performance in just 3 weeks (1)! It’s a must supplement in my practice! 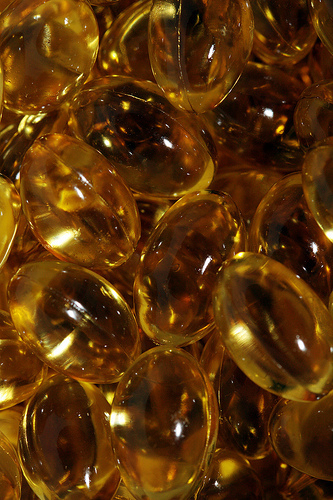 I encourage patients take at least 2-3 grams of high quality fish oil with high EPA & DHA with a ratio 2:1, respectively. Be sure you get a supplement without mercury and added preservatives. It’s also something I recommends to all my prenatal patients as well as well as my Alzheimer’s, ADHD and autistic patients. 70% or more of cocoa has added benefits of improving your attention and your mood! What girl doesn’t love chocolate? Well go ahead and eat more dark chocolate; that’s a doctor’s order! A little dark chocolate square here and there will actually improve your mood, attention and your blood pressure in the long run. Not only does it have great antioxidant properties, but the Northern Arizona University showed it actually beats a mid day slump. It’s been show to be a mild stimulant with a little caffeine in it(2). 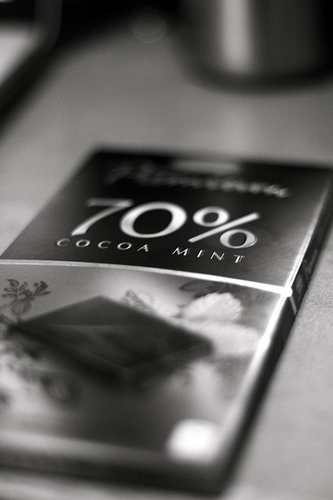 The key is the high cacao content, not just a regular generic chocolate bar. 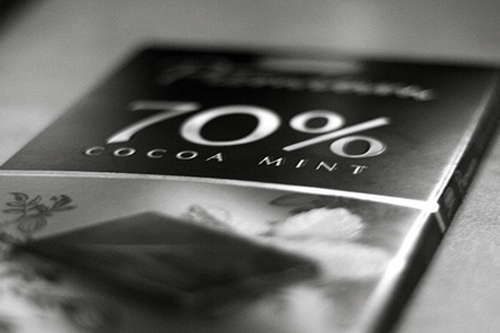 Look for high quality cacao with more than 70% in it. It also contains L-theanine which is natural relaxant and mood stabilizer also found in green tea (2). No wonder why we love it and want more! Every 2 minutes on the hour get up and get moving and improve longevity! Most people sit at their desk for hours without getting up to move around; this is hazardous to your life, actually, decreasing your life span! Adding 2 minutes of walking every hour can really offset this increasing your life span by 33% (2)! This is why, I’m actually always standing when I see patients; how much can you sit anyway? Most people are not able to get their 150 minutes exercise/week according to the ADA (American Diabetic Associations) so adding little tidbits during the day defiantly helps but doesn’t offset actually getting physical exercise. Every little bit counts so remember to keep an alarm clock on your phone every hour to remind you to get up and walk around! Get more Sleep and make better lifestyle choices! Sleeping or lack of sleep has been shown to affect one’s lifestyle choices in new research by the University of Copenhagen. The less sleep you get, the unhealthier lifestyle choices you will make (4). Therefore, it’s imperative to get 7-8hours of restful sleep a night. Read Tips for a Sleepless Night for info on how to get a restful night’s sleep. There are also non-pharmacological options and essential oils that help with sleep too so discuss these with your primary care provider and get your sleep on. 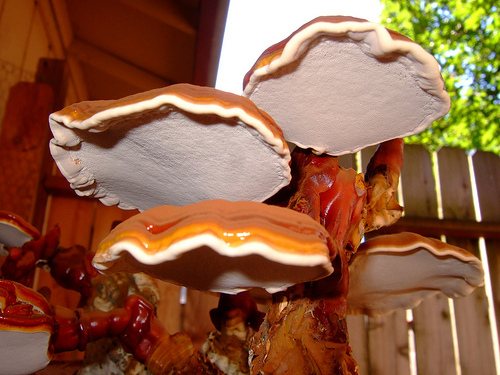 Reishi mushrooms help improve your gut bacteria and reduce obesity. Reishi mushrooms, also known as “the mushroom of immortality” in Japan, has been shown to combat obesity while improving healthy gut microbiota at the same time in mice (5).This ancient mushroom improves digestion as well as increases longevity. Studies have been showing that obesity is now linked to an overgrowth of “bad” bacteria in the gut; so consuming reishi mushrooms extract actually helps reverse the “bad-good” bacteria ratio improving insulin resistance (5). Although more research is needed, and humans are more complicated, it proves yet again improving gut bacteria not only improves digestion but also obesity. You can also improve your gut flora in other ways. You can find reishi mushrooms extract easily available these days. It has also been show to improve longevity, destroy cancer cells and improve the immune system. A must have supplement for those battling autoimmune conditions. Zebrowska, A., K. Mizia-Stec, M. Mizia, Z. Gasior, and G. Poprzecki. “Omega-3s May Boost Performance for Cyclists: Study.” NutraIngredients-USA.com. European Journal of Sports Science, 6 May 2015. Web. 23 July 2015. Srinivasan Beddhu, Guo Wei, Robin L. Marcus, Michel Chonchol, Tom Greene. 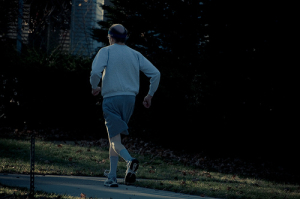 Light-Intensity Physical Activities and Mortality in the United States General Population and CKD Subpopulation. CJASN, April 30, 2015. “Lack of Sleep Affects Long-term Health.”UNIVERSITY OF COPENHAGEN THE FACULTY OF HEALTH AND MEDICAL SCIENCE. International Journal of Epidemiology, 16 June 2015. Web. 23 July 2015. Chih-Jung Chang et al. “Ganoderma Lucidum Reduces Obesity in Mice by Modulating the Composition of the Gut Microbiota.”com. Nature Publishing Group, 23 June 2015. Web. 23 July 2015.